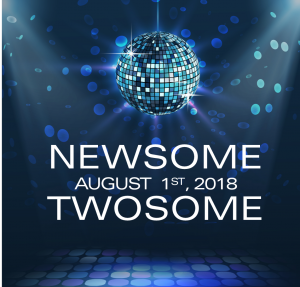 An event we look forward to every year; Newsome Twosome is where all of our students from the Chicagoland Arthur Murray studios debut something new. It could be a brand new routine, a new dance they have never performed before, or with a new partner they have never danced with before. The show is free to watch, so please come join us on Wednesday August 1st, 2018 at the Old Crowe Smokehouse in Chicago (149 W. Kinzie St, Chicago, IL 60654) at 6:00 pm (the show will run until about 10:00 pm, there will be general dancing and food and drink are available for purchase).